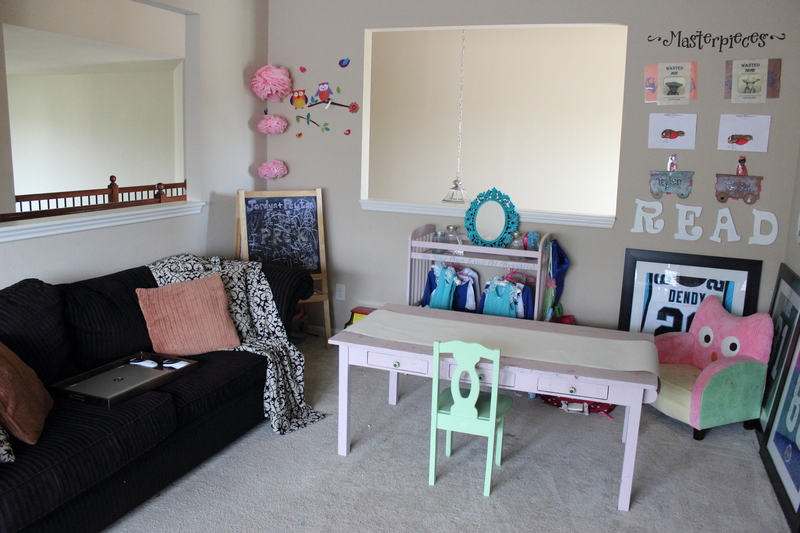 I’m so excited to finally share with you that I am working with Peter Walsh on a playroom organization video. 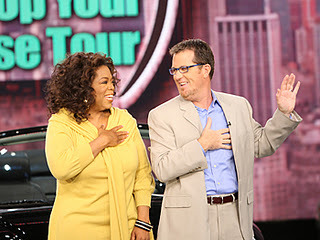 Yes THE Peter Walsh, Oprah Winfrey’s organizer. I remember watching him work organization miracles on the Oprah Show and now on the Rachel Ray show and now I’m working with him! Talk about a dream come true! 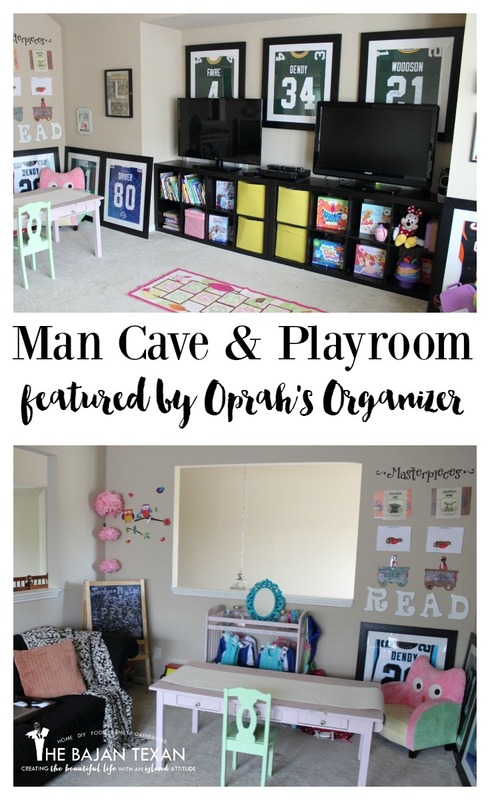 Today I’m going to show you how I organized our Man Cave Playroom. That’s right we have a room serving double duty as a man cave AND a playroom. See before the twincesses my hubby had a pretty sweet set up in his man cave, enter twin girls and lots of pink toys and I had to make it work. 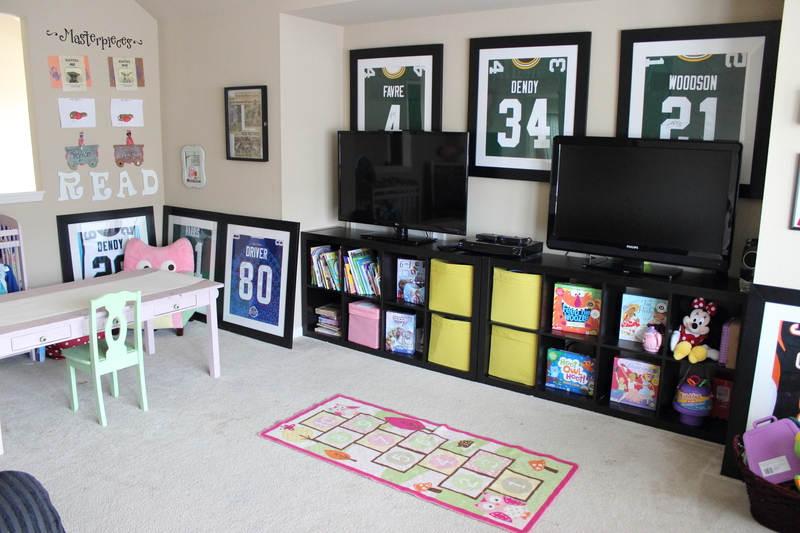 The key to this is creating organizational zones all around the room oh and two TVs, two tv’s can solve anything! Watch the video to see how I combined these two spaces to serve double duty but still work for both guys and toddlers.